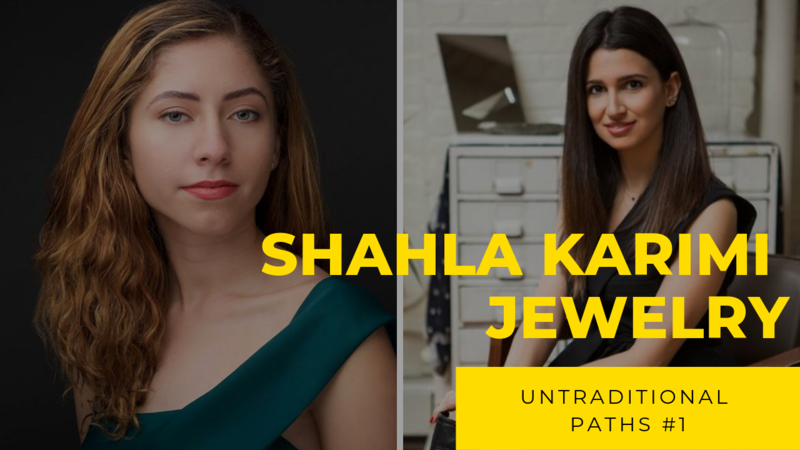 Shahla Karimi is the founder of Shahla Karimi Jewelry, a NYC-based jewelry company. All pieces are hand made in New York City with recycled gold and conflict-free stones. Shahla was born and raised in Kentucky and moved to New York City after college to make her wildest dreams come true. In her fascinating career leading up to the launch of her own jewelry line, Shahla worked in Merchandising at Warner Music Group, as personal assistant to Nas and Kelis, and as the Head of President Obama’s merchandising for his second presidential campaign. Her brand launched in 2014 and has adorned the hands and ears of Kacey Musgraves, Lena Dunham, Rebecca Hall, Carrie Underwood, Olivia Palermo, Gigi Hadid and Alexa Chung and has been featured in Elle, W, InStyle, Nylon, The Coveteur, WWD, and NY Magazine.